He’s young, smart, accomplished, and committed to a set of values. He believes the Mount Royal riding is ready to vote Conservative in next year’s federal election, and, after helping run their last campaign, is considering taking the plunge himself. 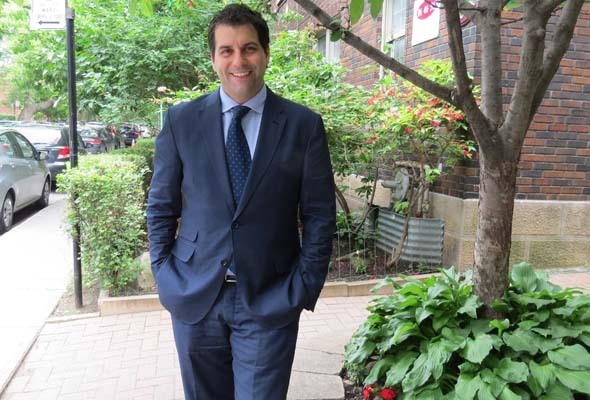 Meet Richard Yufe, 35, a long-time Hampstead resident who graduated as a mechanical engineer at McGill, then became a lawyer at Université de Montréal. His grandparents fled Eastern Europe and opened a textile business in Trinidad before the family emigrated here. While still studying, he worked at Merrill Lynch (CIBC World Markets) in Montreal as an assistant on a team of investment advisers for high-net-worth private clients. “I tend to have a unique perspective—I am able to pick out something that is not always there as part of the consensus,” he reflected in a recent interview. In his 20s, he completed his university courses at an accelerated pace, he said with a smile. He “over-studied” because he was determined to achieve high marks, which he did, he said. By 2004 Yufe was working as an articling student for Blakes, one of Canada’s top business law firms, and he said he scored exceptionally high in the final Bar exams. In his spare time he also did part of an MBA program at McGill. When the Alliance and Progressive Conservatives merged, Yufe joined up, believing this was the credible option on the federal level in Quebec to the Liberals and Bloc. After listening to party policy discussions, Yufe says he liked how the Conservatives’ don’t want to intrude on areas of provincial jurisdiction. He would rather that Ottawa respect provincial jurisdiction in education and health care, and let the provinces establish their own priorities. He does not support a national daycare program, for example, believing the provinces can follow Quebec and create their own scheme, if they choose. In 2007, he offered his services to the Conservatives and was hired as a policy adviser to then-justice Minister Rob Nicholson. In 2008 he returned to Montreal from Ottawa to work in real-estate investment and management. In 2010 he married MUHC cardiologist Jacqueline Joza, and they have an infant daughter. By the next election, Yufe expects voters will no longer fear Harper’s “hidden agenda” – a popular refrain when Harper became the party’s first leader. “There was no hidden agenda: the agenda was principled hard work, and respect for provinces, taxpayers and individuals,” Yufe asserts. “We might see a certain breakthrough,” Yufe said, suggesting people will cease to see Harper’s as a foreigner entering Quebec. Yufe supports the Conservative’s scrapping of the compulsory long-gun registry, and of the compulsory long-form census. He also supports Harper’s tough-on-crime policies. “What is consistent is respect for individual rights and for taxpayer funds,” he observes. Yufe questions Quebec’s opposition to longer minimum sentences. Saulie Zajdel was the party’s Mont Royal candidate in the 2011 election. Zajdel won 13,891 votes, compared to Irwin Cotler’s 16,151, and Cotler conceded he had lost much of the substantial Jewish vote. A former Montreal city councilor, Zajdel is to be tried in Quebec Superior Court, June 8, 2015 as a co-accused with former Montreal mayor Michael Applebaum and civil servant Jean-Yves Bisson on charges that include breach of trust, fraud and corruption linked to alleged activities that took place in 2007 and 2008. Yufe said he is serious about running in Mount Royal, but he has not made a formal announcement. No date has been set for what is expected to be an open nomination meeting. 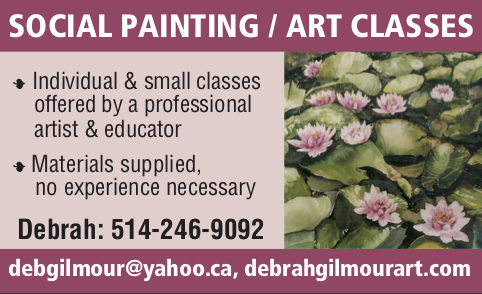 Be the first to comment on "Richard Yufe has designs on Mount Royal riding"